Being involved in a car accident is one thing. A truck accident on the other hand is a whole different thing altogether. If you live to tell the tale, you are very lucky indeed. Getting away from a collision with an 18-wheeler is akin to surviving a punch from The Hulk. The two incidents may have the same legal weight, but a truck accident comes with more severe consequences and injuries compared to a smaller vehicle. Sometimes, it calls for a higher compensation. Another factor that is considered is driver fatigue. A trucker is bound to be more exhausted than a small car driver. Trucks and other huge multi-wheeled machines can cause fatal accidents. Truck driving is a dangerous job. The driver must be even more alert, if that is even possible, than drivers of smaller vehicles. The sight of a humongous 18-wheeler barreling down an incline while out of control is not a vision that is likely to leave your mind anytime soon. Your lawyer will get in touch with you to discuss the accident and the aftermath. There will be an agreement that you will sign with your lawyer so that they can begin preparing your case. The team working on your case will take at least 6 months to collect supporting evidence for your case. Your legal team and the defense team will meet to try and come up with an out-of-court settlement. If the settlement is satisfactory, your legal team will settle your case and begin to process your compensation. If the settlement is not acceptable, the case proceeds to court and a settlement will be sought that way. If you have chosen experienced lawyers to represent you, then you are in safe hands. They will support and advise you throughout the process. Does the claim take a long time? The lawyers need 6 to 9 months to gather supporting evidence. For the whole process to be completed, give it 12 to 18 months. Trucking companies put up a pretty spirited fight themselves. They will try every trick in the book and out of the book to either get out of paying any compensation, or to pay as little as they can. Go for a No Win No Fee law firm. Your fees will depend on the outcome of the case and will be subtracted from your compensation. If they lose the case, you don’t pay a dime. 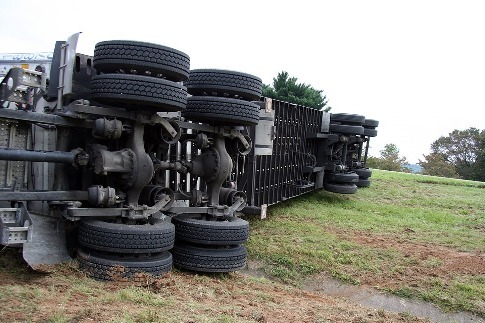 In as much as no one wants to be involved in an accident you want to know what to do in case you are involved in one, especially one involving the monstrous trucks so that you know how to file a claim for a truck accident even as you thank your lucky stars that you are alive.